clinical and preclinical aspects of abdominal infections and intestinal failure 1a. peritonitis (diagnostics, surgical treatment, emergency surgery, intestinal failure surgery, complex abdominal wall reconstruction) 1b. acute and chronic pancreatitis 1c. 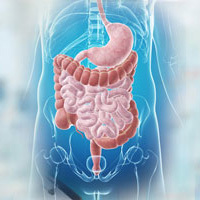 inflammatory responses in abdominal sepsis and anastomotic leakage Optimal diagnostic imaging in patients with acute abdominal pain, patients with suspected appendicitis, patients with suspected diverticulitis, patients with suspected postoperative infectious complications. The role of the genetic make-up in the disease course, several single nucleotide polymorphisms (SNPs) are investigated in acute (necrotizing) pancreatitis. Logistic regression modelling searches for a clinical score to select patients who will benefit from a relaparotomy; a decision tool is developed and prospectively evaluated and modified for triage for imaging (ZonMW).